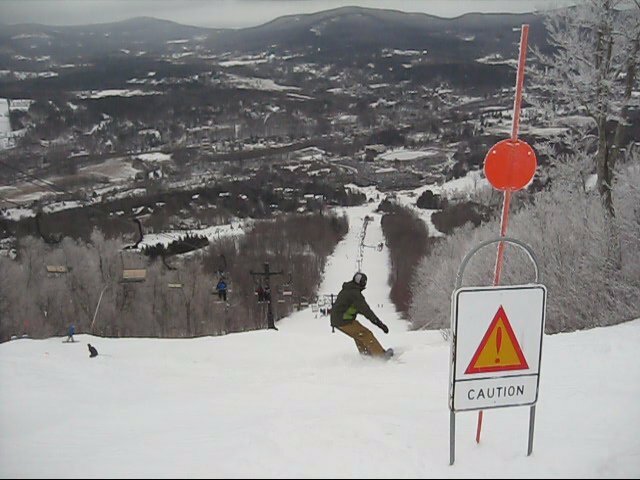 Windham Mountain, Windham, NY offers a season-long program for adult snowboarders in the intermediate to advanced range of riding. Windham Snowboard Instructors Mike Swanson and Nicky Sacco-Brown are shown leading this group of exuberant and happy campers down a bumpy steep, and through the beginner terrain park, March 2013. Next is a quick chairlift interview with Windham Snowboard Director Bruce Meirowitz where he shares his passion for snowboarding and encourages adults to come out and learn. Read the article"You Don't Have to Hurt Yourself to Snowboard" by Lauren Traub Teton, found on over 100 websites online. 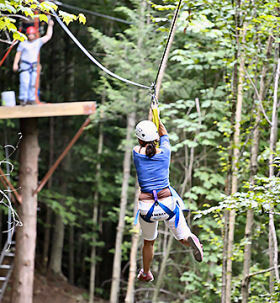 Windham is known for its variety of terrain with some challenging steeps. But we find an easy long green trail for cruising on "Wanderer", and this video shows you how to get there and what the trail is like. Take the D lift to the mid-mountain lodge, then scoot over (to skiers left) and down to the G lift for a ride to the scenic cruiser of your dreams! Filmed Feb. 27, 2012, and you can see that the snow is still excellent, even in this light snow year! Video by Lauren Traub Teton, exclusive for www.SnowboardSecrets.TV. Please Subscribe! Thursday night the 2nd pre-party of the evening was thrown by OVR at Epstein's in SoHO. We interview OVR founder Dan Stonier about the 80 trips they offer this season to get New Yorkers "outta this place" and onto fresh white snow, in the Northeast, the whole US, and St. Moritz, Switzerland. Video by Lauren Traub Teton, exclusive for SnowboardSecrets.TV.